Zionist Union head Avi Gabbay sharply criticized Prime Minister Binyamin Netanyahu who has not visited the Gaza area residents since the incendiary kite war started. "There was no such thing in the history of the State of Israel; we didn't have a prime minister who didn't come to visit his residents. 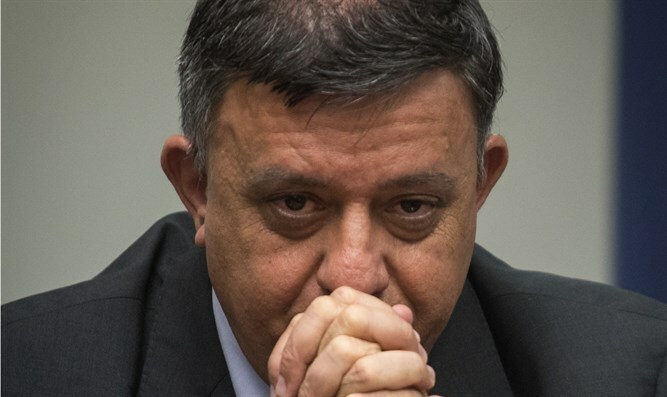 100 days of shooting and burning fields, and the Prime Minister didn't come to talk with the people," Gabbay complained in an interview with Amnon Sofer and Mundi Rizel on Radio 101.5FM. Gabbay, who himself visited the area last night, said the ceasefire declared tonight was bad for Israel. "This is a cease-fire that Hamas decided on, it's a matter of the Israeli government totally losing control, a government that doesn't make decisions. If you don't make decisions someone else makes the decisions. "When they shoot, you shoot back, hit back. The story of the kites is very serious, we're playing here Russian roulette. A kite is absolutely the same as a Kassem rocket" said Gabbay. Netanyahu related to criticism leveled against the ceasefire in today's cabinet meeting and said, "I heard it being said that Israel has agreed to a ceasefire that would allow the continuation of terrorism by incendiary kites and balloons; this is incorrect. We are not prepared to accept any attacks against us and we will respond appropriately."